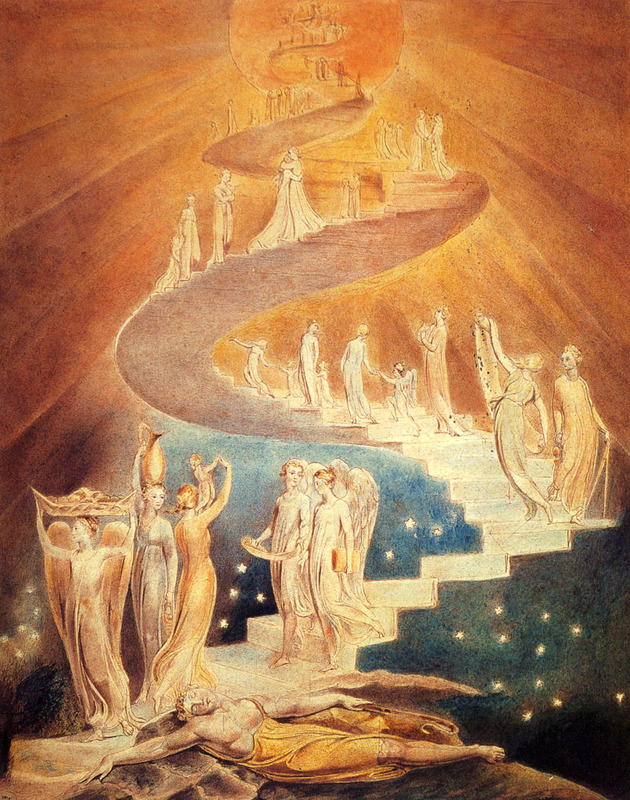 My first introduction to William Blake was through his poetry, but I’m going to talk about his paintings today. 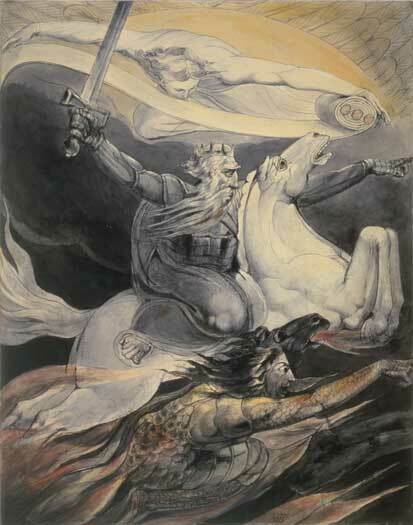 Blake started his career as an engraver, and was influenced by the art of Fuseli, whose interest in the darker side of the supernatural can be seen in Blake’s own work. He was deeply influenced by the mysticism of Swedenborg, and was a supporter of the free love movement, and was strongly opposed to the conventional Christianity of his day. He did not believe that love of Christ entailed self-denial, and spoke out against religious repression. He experienced regular religious visions, and his works of art regularly portrayed the things he witnessed in these states of delirium. Blake did not attain a great deal of acclaim during his lifetime. 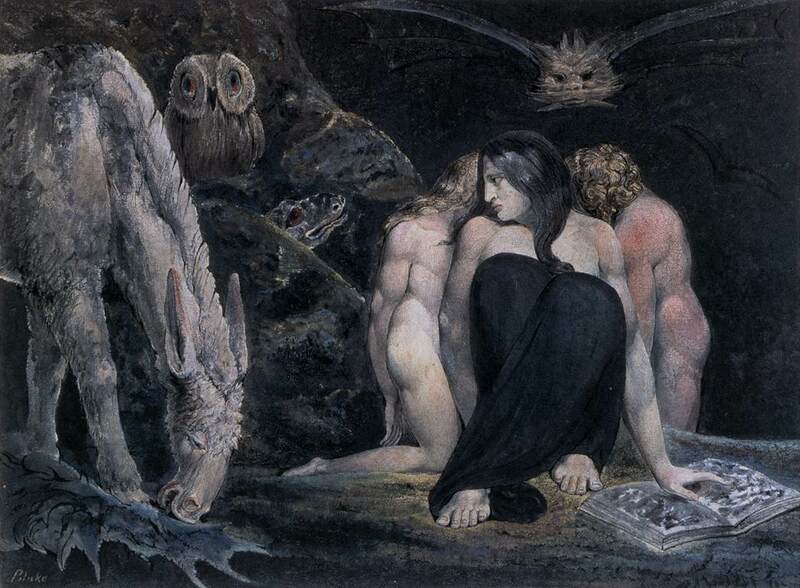 His views were too controversial for popular taste, and many believed him to be insane, including William Wordsworth who observed that “there was no doubt that this poor man was mad, but there is something in the madness of this man which interests me more than the sanity of Lord Byron or Walter Scott.” Blake’s art and poetry would later influence the works of Swinburne and Rossetti, and while he is before the time of Symbolism, his philosophies, and the profound mysticism of his art, place him as a significant forerunner of the movement. Oh, Blake. Was there anything you could not do amazingly well? Both I and my boyfriend (a huge Blake afficianado–he has this amazingly annotated copy of The Book of Urizen with the original art, among other things) got a huge kick out of this entry. Wow, that book sounds amazing! I’m glad you liked the entry. I love this blog. Please post more. I will! I’m sorry posts have been infrequent lately – I’ve just started a PhD and I’m moving into my new place, so things have been a bit hectic! I’ll get back to normal soon. Don’t mean to rush you. But I love it. 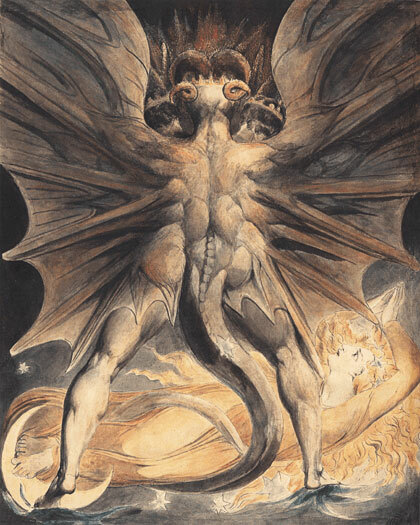 I went to a huge William Blake exhibition of illuminated manuscripts and paintings, a few years ago. Very impressive indeed!